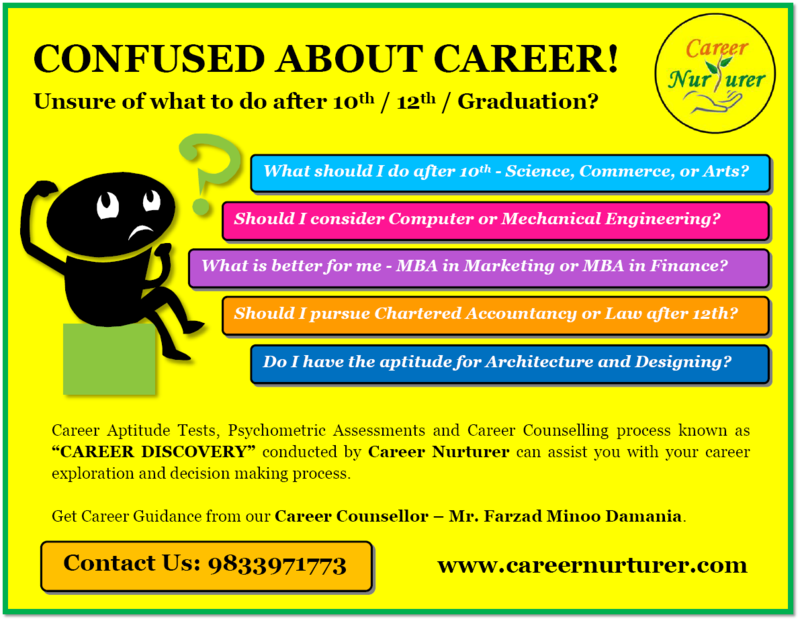 If you are facing career related queries and are confused about selecting your right career path; then Psychometric Assessments and Career Counselling process known as “CAREER DISCOVERY” conducted by Career Nurturer can assist you with your career exploration and decision making process. You undergo detailed psychometric and aptitude assessments that assist in evaluating your aptitude, interest, personality and emotional intelligence; and thus helps in selecting the correct career path. This is followed by a detailed counselling session. During the career counselling session, you will be provided guidance on which career field suits you, and the process of getting into these careers (i.e. entrance exams, courses, specializations, job avenues, future scope, and growth prospects of careers). Based on the test results your strengths and weaknesses will be discussed; and you will be guided on practical ways to continue developing your strengths and work on your weaknesses. Mr. Farzad Minoo Damania is not associated with any kind of classes or institutes; as he believes in providing 100% UNBIASED CAREER COUNSELLING. He provides career counselling and psychometric assessment services for students across Mumbai, Thane and Navi Mumbai areas. Register today for CAREER DISCOVERY process at Career Nurturer Counselling.